Scott and Luis are a School Based Match who have been meeting at Harmon Middle School for the past 8 months. Scott takes one lunch hour away from his management job at JCPenney Logistics Center each week to meet with Luis. The two typically eat lunch together, talk, and spend time outside, if the weather is nice, or playing basketball in the gym if it is too cold for outdoor recess. Luis reports that his favorite thing about having a Big Brother is having “guy time” in his life. He loves the fact that Scott is “fun and cool” and “not bossy”. Some of his favorite things to do with Scott are playing basketball and soccer. Scott states that his favorite qualities of Luis are that Luis is “funny and pretty cool”. Scott said that his favorite thing to do with Luis is “anything and everything”. Luis can always make Scott laugh and they always have a good time. Mike and Trevor have been matched since January 2012 in the Community Based Program. 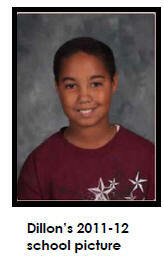 When asked what Trevor liked best about having a Big Brother, he said that Mike is a great male influence in his life. 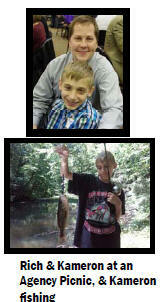 Trevor said his favorite activity was going fishing with his Big Brother. Trevor said that Mike has taught him how to bait his own line when fishing and how to golf. He thinks of Mike as a good friend and he has encouraged Trevor to work harder in school and in his community. Trevor also said that Mike is teaching him the value of money and what that means. Ce Ce and Mike Peters stepped up to the plate to become volunteer mentors in the Big Brothers Big Sisters program. The couple have mentored Issac, Ethan, and Ondreya Disbennett for the past year. Mike and CeCe had positive things to say about their Littles and enjoy varying personalities of the group. “Each of the children brings a unique perspective and excitement to the match relationship. Each child is different in their own special way,” said CeCe. When asked what Ondreya liked best about having a Big Sister, she said that CeCe understands her because they are both girls. She can talk to CeCe and feels comfortable too. The boys stated that Mike is “super fun” and he is “awesome to spend time with.” Their favorite activity was going to an OSU Hockey Game with Mike and CeCe and seeing Brutus Buckeye. All three children have enjoyed the fact that Mike and CeCe have taken the time to get to know each of them individually and appreciate them for who they are. Congratulations to all! Mike had positive things to say about his Little Brother as well! Mike likes having Trevor as his little brother because he is an intelligent young man who can be very informative about topics he enjoys. Mike said he and Trevor do a lot of different activities together. They like to go fishing, hiking, they have went to a Gales Basketball game, and they do some window shopping for electronics every so often. They also enjoy each others company when going out to dinner. They talk about academics and how important it is to study and get good grades and they talk about the value of money and how it relates to everyday life. Mike strides to make a difference in Trevor’s life by being consistent and reliable to him. Congrats Trevor and Mike! Jade and Haley have been matched in the School-Based mentoring program since November of 2012 and have developed a great friendship! Haley and Jade meet twice per week at West school. 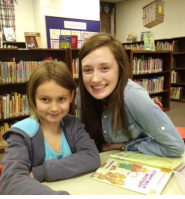 Haley expressed that one of her favorite things about mentoring Jade is seeing her spelling progress each week. When the meet on Monday, Haley gives her a preliminary spelling test and when they meet again on Wednesday, Haley gives her another test with the same words and Haley loves seeing her improvement! Jade was very proud to report that when they first started meeting, her spelling grade was very low and since Hayley has been coming and helping her with spelling, her grade has risen to an “A”! Haley is quick to remind Jade of her hard work at home on her spelling also! Jade and Haley both agree one of their favorite activities is playing checkers together and they also love to read books together. They also enjoy drawing pictures and doing crafts. Haley and Jade enjoyed attending the Big Brothers Big Sisters basketball game night at Lancaster High School together also. Haley does an exceptional job of engaging Jade in a variety of activities and balancing academic support with social support. They look forward to the spending the rest of the school year together! Congratulations Jayden and Haley. Colin and Zion have been matched since October of 2011. They meet for lunch each week at Zion’s school. They eat lunch, discuss happenings in Zion's home and school life, then have some fun playing a board game or going to the gym to participate in indoor recess! Zion indicates that his favorite activity with Colin is playing football, and he also loves "giving him noogies". The best part about having a Big Brother, according to Zion, is that they gets to "do all kinds of things during the course of their mentoring time at the school. Colin has positive feelings regarding the match, stating that he never had any younger siblings, so this gives him the opportunity to experience that. He loves to play games such as tic-tac-toe and Mancela with Zion, and reports that Zion has a big heart, is very smart, and makes people smile! Congratulations Zion and Colin. Savannah and Brianna have been matched in the School-Based mentoring program since January of 2012 and have developed a great friendship! When asked what Savannah likes best about having a Big Sister, her reply was “to have someone to talk to!” Brianna and Savannah both expressed their favorite activities together are playing cards (500 Rummy is Savannah’s favorite) and doing puzzles together. Savannah likes knowing Brianna is there for her to talk to and, with a beautiful grin on her face, said how nice Brianna is! Brianna has enjoyed participating in the School-Based program and reports it is “keeping the joy of life” active inside of her. She reports enjoying the “nice innocence” about Savannah and loves seeing the spark of life in her eyes! The two are ready to enjoy a fun school year together and look forward to getting to know each other better! 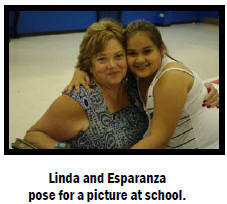 Linda and Esparanza have been matched since September 2010 in the School-Based program. They meet once a week and have lunch, talk and laugh. They are always so happy to see one another that they run towards each other and hug! They love talking about their families, places Linda has traveled, and school. Linda began as a workplace partner with JCPenney Logistics but has since retired. Fortunately, her home is nearby Esparanza's school and she has been able to continue with Esparanza as her Mentor. 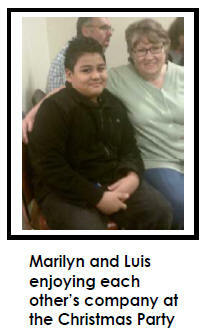 Eva and Shyle have been matched since September 2011 in the Community-Based program. When asked what Shyle liked best about having a Big Sister, she said that Eva is really nice and fun to be with. Shyle said her favorite activity is going to the park with her Big Sister. Shyle said that Eva has taught her how to read books better and play Uno, the card game. Eva had lots of good things to say about her Little Sister as well! Eva likes having Shyle as her Little Sister because she enjoys making a difference in her life and having that companionship with Shyle. 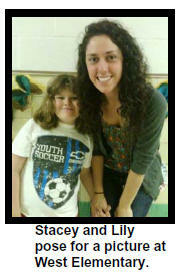 Her favorite activity with Shyle is playing Uno at her home and going out to dinner together. Eva said some of their most meaningful conversations come from those times. Eva truly enjoys Shyle and values their friendship dearly. She said that having a Little Sister like Shyle has helped her to slow down and take her mind off her own life stressors and enjoy herself through helping others. Jim and Dillon are a fairly new match from this school year. 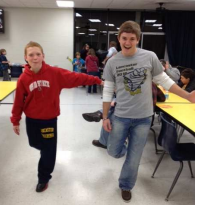 They are matched at Diley Middle School, where Dillon is a 5th-grader. Jim is a Battalion Chief with the Violet Township Fire Department in Pickerington. He has two children of his own and lots of coaching experience. He recently stopped coaching and decided to become a Big Brother to fill that void. He is very patient with Dillon, and they spend time discussing positive decision-making, as well as talking about sports, and playing kickball on the playground. Dillon loves sports, and plays on a community baseball team. His favorite school subject is science, as he loves to do experiments! 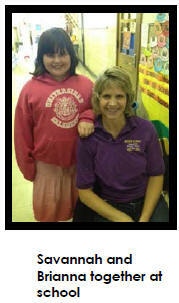 Stacey and Lily have been matched at West Elementary school for the past two years in the Bigs-in-Schools program. Stacey is a high school student from Lancaster High who spends her lunch and study hall periods twice a week helping her Little Sister, Lily, with school work, friendships, and self - esteem. Lily enjoys meeting with her Big Sister and says she really likes having Stacey there to encourage her and support her. You can often find the two holding hands on the playground. Lily’s teacher reports that Lily has improved in four or more academic areas and has matured with the help of her Big Sister, Stacey. Lily has done very well this year and even earned an academic award for her accomplishments. Kameron and Rich have been matched since December 2011 in the Community-Based program. This match is the perfect example of how Bigs and Littles can influence one another. When asked what Kameron likes best about having Rich as a Big Brother, he explained that Rich is REALLY funny, caring and most of all, he cares about spending time with him. 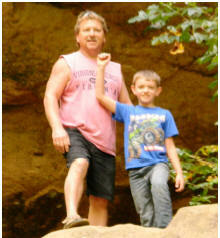 Kameron said he has many favorite activities that he and Rich have done together. His top favorites have been fishing, golfing, and shopping at Easton Mall. Kameron said that Rich has taught him to be more outgoing and not let the “little” things in life get him down. Also, he said that Rich has taught him many funny jokes that make people laugh and he enjoys that. Kameron said Rich has shown him another side to life that can be fun, and he never knew that existed. Rich had lots of good things to say about Kameron as well. Rich believes the best thing about having Kameron as his Little Brother is getting to spend quality time with him. He said, “I wanted to volunteer for Big Brothers Big Sisters to be able to give something back to the incredible community we already have. After spending so much time with Kameron, I have definitely received much more than I could ever hope to give.” Rich’s favorite activity to do with Kameron is “Just Hanging Out.” While the two of them have attended a model airplane show, gone fishing, hiking, and golfing, simply enjoying each other’s company has been his favorite. 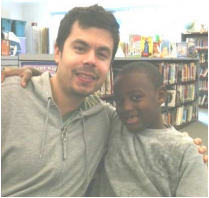 EJ and Xander have been matched in the School-Based Mentoring Program for over a year. Recently, the two chose to extend their relationship to the Community-Based Program, so that they could share many other experiences together. 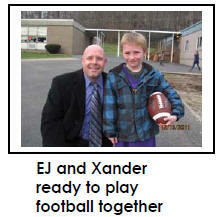 When EJ began mentoring Xander, he was dealing with the transition to a new elementary school. EJ helped ease Xander’s fears, along with providing him academic support. Xander says that he made a lot of friends because the kids thought it was cool that he had a “special friend” and they wanted to hang out with EJ too! 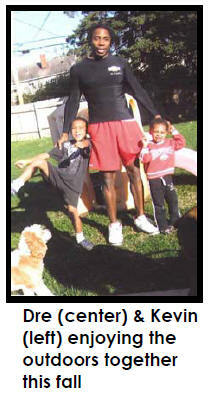 Xander and EJ’s favorite activities at school have been playing football and basketball during recess. Recently, they were able to enjoy a trip to the AHA Museum and are excited for many good times ahead!! Xander likes that he’s able to spend more time with EJ and get to know his family. EJ enjoys the feeling of satisfaction he gets from showing Xander how special he is and the impact he has had on Xander’s school success. Congratulations Xander and EJ! 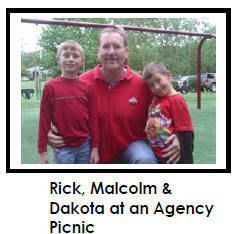 Rick has been volunteering as a Big Brother in the Community-Based Program since October 2010. When asked what the boys like best about having Rick as a Big Brother, they explained that Rick always takes them places and is very nice. The boys said their favorite activity was when Rick took them to Chuck E. Cheese for the first time. Malcolm said that Rick has taught him to be a good boy and to be more patient and listen. Dakota said that he has learned to have more fun! The boys said that the best thing about having Rick as their Big Brother is that he is fun and loving. Malcolm said that Rick has taken him places that he may have never had the opportunity to go in his life. Dakota said that Rick has helped him with his spelling words. The boys said that Rick is like a "DAD" they have never had. Rick had lots of good things to say about the boys as well. Rick likes having the boys as his Little Brothers because they are full of such energy and life. He said their youth and interest in participating gives him such joy. Rick's favorite activity with the boys is when they go and get pizza together. He said this is a time when they learn the most about one another. Rick said what he likes best about the boys are their individual personalities and watching each of them grow into their own person. This experience for Rick has really opened his eyes to realizing that there are more important things in life than just work itself! Hondre (Dre) and Kevin have been matched in the School-Based Mentoring Program for the past two years. Dre meets with Kevin weekly at school and they focus on reading. Kevin says that he likes Hondre coming in and reports that, “Hondre is cool and he helps me.” Once Kevin completes his academic work the two have fun working puzzles and hanging out. Recently, the two have chosen to extend their relationship to the Community-Based Program, so that they could spend time together outside of the school setting. Kevin is enjoying getting to know Dre’s family. When they are together they enjoy doing outdoor activities, especially swimming. Hondre feels blessed to be able to share these experiences with Kevin and believes that being a Big Brother gives him a feeling of satisfaction. 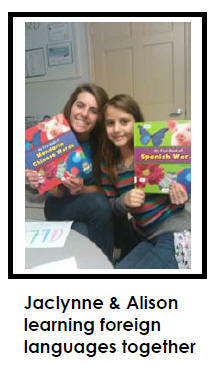 Jaclynne and Allison have been matched since January 13, 2010, in the Pickerington School-Based Program. Jaclynne is a senior at Pickerington High School North and meets with Allison weekly at the KinderCare that she attends after school. The two girls spend time talking, drawing, playing cards, putting together puzzles, and jumping rope. Allison said her favorite thing that she has done with Jaclynne was when she painted her fingernails sparkling pink. Allison also said that the pair understand each other and get along as true sisters would. She even said, “Everyone should have a Big Sister who wants one!” Jaclynne has had a great time getting to know Allison as well! She said her favorite thing about having Allison as a Little Sister is the fact that she knows that she is there for her and supports her in everything she does. Jaclynne’s favorite thing about her Little Sister is that Allison is comfortable being herself around her, no matter how silly she might act. Lastly, Jaclynne said that being a Big Sister has helped her become a better listener and more open to connect with new people. Allison and Jaclynne have become great friends and only expect great experiences to come in the future! Congratulations Allison and Jaclynne! Henrietta and Selena have been matched since March 2010 in the Community-Based Program. When asked what Selena liked best about having a Big Sister, she said that Henrietta is really nice and fun to be with. Selena said her favorite activity was going bowling and making crafts with her Big Sister. Selena said that Henrietta has taught her how to be safe when riding in a vehicle with other people. Henrietta had lots of good things to say about her Little Sister as well! 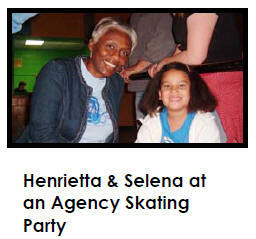 Henrietta likes having Selena as her Little Sister because Selena reminds her to relax a little and have fun. Her favorite activity with Selena was when the two of them were doing craft activities and they each designed their own flip flops to wear. Henrietta truly enjoys Selena and her outgoing personality. She said that having a Little Sister like Selena has helped her realize that she can make a difference in a child’s life no matter what age she is! Tony and Anthony have been matched since April of 2009. Tony mentors Anthony not only in the Community-Based program, but also in the School-Based program. Anthony said he likes having Tony as a Big Brother because he teaches him a lot of different things. 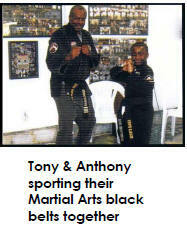 Tony has taught him karate and helps Anthony become more assertive when dealing with his peers and family. Anthony said that having a Big Brother has helped him, by Tony acting as a positive male role model for him. Tony enjoys having Anthony as his Little Brother. Tony said that Anthony is very smart and responsible. He enjoys Anthony’s competitive side while training him in martial arts and bowling. Tony explained how he loves to watch Anthony grow into a young man and has full confidence that Anthony will be successful with anything he has to tackle in the future. These two have become like family to each other, with only more good times ahead of them. Congratulations Anthony and Tony! 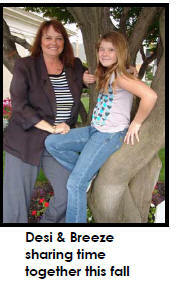 Shelbie and Linda have been matched since June 2008 in the Community- Based program. When asked what she likes best about having Linda as a Big Sister, Shelbie explained that Linda is very nice and is always there to listen when she needs to talk. 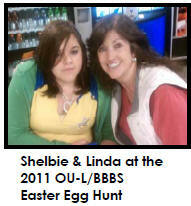 Shelbie said her favorite activity was going to the Egg Hunt with Linda, and spending time together afterwards. Shelbie said that Linda has taught her to ignore what other people say and just be herself. Linda had lots of good things to say about Shelbie as well! Linda likes having Shelbie as her Little Sister because it gives her satisfaction with getting to watch Shelbie accomplish different things in her life. It also gives her companionship. Linda said that what she likes best about having Shelbie as her Little Sister is that she has a good heart and is a lot of fun to be with. Her favorite activity with Shelbie is when they go bowling and out to eat together. They have also worked the Kiwanis concession stand during the Little League games. Linda has truly enjoyed watching Shelbie grow into an amazing young lady. 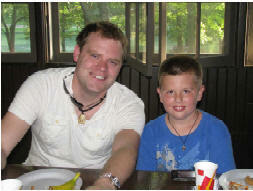 Jacob and Charles have been matched since June 2010 in BBBS Community-Based program. When asked what he likes best about having Charles as a Big Brother, Jacob explained that Charles takes him to do things that he would not usually get to do. 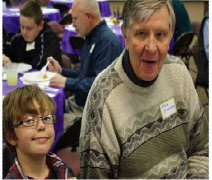 Jacob said his favorite activity was going the Valley View Swim Club to go swimming, while Charles enjoys shooting hoops and just talking. Jacob described his Big Brother as easy to talk to and very fun. When asked how Charles has helped him, Jacob said he has a hard time talking to his parents, but knows he is able to talk to Charles about anything. Charles had lots of good things to say about Jacob as well! Charles likes having Jacob as his Little Brother because Jacob is constantly discovering new things and it completely unpredictable. Charles stated that Jacob helps him “step out of the box of my adult life”. Charles also said that having Jacob as a Little has been challenging in a positive way and enjoys connecting with someone other than his family and friends. Congratulations Jacob and Charles! 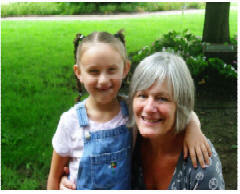 Savannah and Belinda have been matched since July 2010 in the Community-Based program. Since then, the two have become the best of friends! When asked what she likes best about Belinda, Savannah simply replied, “I love her!” Needless to say, Savannah has a blast when she is with Belinda. Together, the match spends their time going to the mall, playing at the park, and participating in agency activities. Belinda even took Savannah to get her ears pierced for the first time as a present on the last day of school. Savannah proudly said how pretty they looked and that she did not even cry! Belinda adores Savannah just as much. When asked what she likes best about Savannah, Belinda stated, “Her love.” Belinda explained how rewarding it is just to see her Little Sister smile. She also stated how mentoring Savannah gives her something to look forward to and how much she likes just spending quality time at the park with her. These two have become close friends with only more good times to come in the future! Congratulations Savannah and Belinda! Ryan and Jamie have been matched since May 2010 in the Community-Based Program. This match is a perfect example of how Bigs and Littles can influence one another. Jamie believes the best thing about having a Little is being able to offer Ryan experiences that he may have otherwise missed out on. Jamie likes spending time with Ryan and just smiling and laughing together. When asked what he likes best about Jamie, Ryan stated, “He takes me fishing, swimming, and bowling.” Ryan was very proud of the fact that Jamie had taught him how to bowl and he got a strike! Although he likes to bowl, Ryan’s all time favorite outing was to Coco Key Water Resort. Jamie’s favorite activities to do with his Little Brother are watching him play basketball, riding his motorcycle, going fishing, and just seeing the excitement on Ryan’s face. Jamie stated that he appreciates Ryan’s willingness to listen and learn and how much he cares for his family. In the end, Jamie and Ryan share a genuine bond and know they can depend on one another. Congratulations Ryan and Jamie!